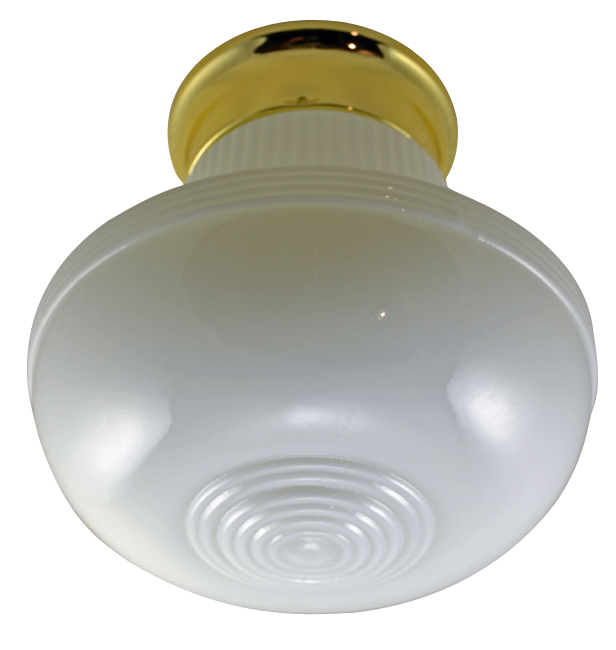 Each fixture includes the glass shade as shown and finished brass base with wiring. Each fixture measures 8 inch in diameter and approximately 9 1/2 inch tall. This fixture uses a 4 inch fitter shade (included as shown) and has a maximum ceiling cover of 5 inches in diameter. This fixture comes pre-wired and ready to install. U.L. approved and this comes with the crossbar, wire nuts, thumb screws and includes high heat porcelain socket. This fixture accepts one (1) standard bulb 60 Watt maximum.